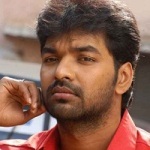 Tamil actor Jai was born on 6th April 1985 in Chennai city, Tamil Nadu state. His family was full of musicians, his uncle Deva is a noted music composer who predominantly works in Telugu, Tamil, Malayalam and Kannada movies. He went to United Kingdom to learn keyboard and joined Trinity College London. Before making film debut Jai worked as a keyboardist in several movies with his Uncle Deva and cousins Srikanth Deva and Bobo Shashi, who are also musicians. Even today he likes to be involved in music of his movies. Jai is a great fan of Yuvan Shankar Raja who predominantly worked in South Indian films. Jai made his acting debut with Bhagavathi in 2002 co-starring Vijay, Ashish Vidyarthi, Reemma Sen and Vadivelu, the film was a huge commercial hit. His first film in lead role was with Chennai 600028 in 2007 co-starring Shiva and Nithin Sathya, the film did well at box office. 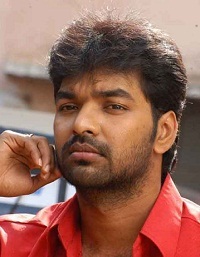 He later delivered numerous box office hits like Subramaniapuram co-starring Swathi and M. Sasikumar, Engaeyum Eppothum co-starring Anjali, Sharvanand and Ananya, Raja Rani co-starring Arya, Nayantara and Nazriya Nazim, Naveena Saraswathi Sabatham with Niveda Thomas, etc. Apart from films Jai is also interested in car racing, in an interview he said that he was inspired by Ajith Kumar. For the first time in his life he took part in JK Tyre National Racing Championship-2014 held in Sriperumbudur, Chennai. He was born to Sambath, brother of Musician Deva and Latha. He has one elder sister and one younger sister. Musician Deva is his paternal uncle. Hi you are my favorite hero please reply me and I love you my darling.